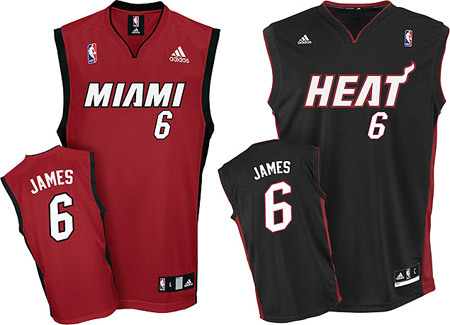 Just hours after Lebron James’ official announcement, the NBA has already revealed his Miami Heat jersey. It’s available in 3-colors and priced at $44.99. More information here.